There are essentially two ways to buy consumables in the market when you consider how the toner and drum units are sold. Either they are sold together or the two components are sold separately and therefore are replaced separately. So how do you know when it is time to replace the toner? The toner cartridge contains powder used for creating the image. When the toner is running out you will notice your prints are being inconsistent or too light, and sometimes even blank. However, the drum is the component that transfers the toner to the paper. You will know when it is time to replace the drum, as when the drum is at the end of its life, you will begin to see lines or similar errors repeated across the page. So, the obvious advantage of buying a combo is if you see both of these happening (therefore implying both need replacement) However, if only one or the other has reached the end of its life then you may believe it would be advantageous to buy separately, that is buy just the one you require, but actually you may need to replace the other too further in time. As drum units typically tend to last much longer than toner cartridges (though this is dependent on the design), you will probably find that in most cases, it is the toner that runs out. Also if you like to buy our own brand cartridges as opposed to the OEM products (i.e. made by the manufacturer of your printer) you will more likely spend less money as refilled and generic toner are less costly and have the same life span (last as long) as original toners. Only these instances, previously it was easier to find alternatives when the toner was separate from the drum. The reason behind this is that, the manufacturer is meant to refill the toner and refurbish the drum, but usually they only refill the toner and forget about the drum. You can also buy the OEM drum if you prefer that whilst getting any of the compatible toners for your printer when you buy from us. But we have made it easier for you by matching the compatible toner with its accompanying compatible drum. We would highly recommend buying the combo, as to be honest there are really not any disadvantages to buying the combo as both the toner and drum will run out at some point anyway! Also, toner and drum combos are great value especially if you need to replace both, but also in the instances when you need to replace only one, as the other can be kept for when the one in your printer has reached the end of its life. Check out our great value top selling toner and drum combos for Brother, Xerox, Panasonic, HP, OKI and Samsung! The World Wide Web has grown to the extent that we cannot now image a world without it. From education to e-commerce, it is part of our everyday lives. And it was invented on this day (12th March) thirty years ago! It all began when Sir Tim Berners-Lee, a software engineer at CERN, realised that information could be shared on the internet* by an emerging technology called HyperText. He made a visionary proposal and later developed three fundamental technologies that to this day remain the foundations of the web, namely, HTML (HyperText Markup Language), URI (Uniform Resource Identifier also known as URL) and HTTP (HyperText Transfer Protocol), which is the underlying protocol used by the World Wide Web. Realising that the web could be made accessible to anyone, people outside of CERN were invited to join this new web community. Revolutionary ideas originally produced by the web community have found applications beyond the technology sector, spreading into a number of different fields such as politics, education, scientific research and culture. These principles included decentralisation, non-discriminatory ideals, a bottom-up design, consensus and universality. The World Wide Web Consortium was founded later in 1994, and Tim remains the director to this day, and continues its visionary approaches to continually build a better web that serves all of humanity. The World Wide Web Consortium (W3C) tackle issues such as the fact that more than half the world’s population is still not able to get online as well as the risks posed by the web to privacy, democracy and rights. Fighting for digital equality, women’s rights online as well as for affordability of the internet, they are rethinking the way things are done, which may again have positive impacts on other fields. Today, Google has dedicated a Doodle to the World Wide Web for its thirtieth anniversary! With resources readily available at your fingertips, finding the inks and toners for your printer is just a click away! At Ink N Toner UK, we are happy the WWW exists, which means that we not only have a physical store but also an online site. 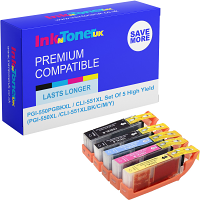 Check us out at https://www.inkntoneruk.co.uk/ we have a wide range of original and compatible inks and toners for you at great prices! So you want to enter the world of photography but are wondering where and how to begin. Perhaps you are tight on budget, or you want to quickly accelerate to a professional level but are wondering which camera you want to start with. Though we won’t be able to explore the whole equipment range, this blog post gives you great general advice for starting out whatever your circumstances. There will obviously be other tools available but we will cover the very basics. Firstly, you need a decent camera. Research the latest camera editions and remember to look at models just slightly older than the current ones, as they may be considerably cheaper with pretty much the same functionality. Aside from the camera, it is vital you buy good quality lenses, as this one of the major factors that dictate the quality of the photo. Consider zoom lenses and research the effect of the different ranges offered by your viable options. A standard zoom lens might offer the focal lengths 18-55mm, which may be enough for your requirements, but if you want to take wildlife photography for example consider a greater range. As you may know the advantage of a zoom lens is the flexibility, however if you want better image quality, prime lenses should also be a part of your kit. Check out prime lens reviews and the clarity of images they would produce before you buy. Some great value lenses in the market sometimes come with slight tints, which may or may not be what you want. You may need to invest in more than one prime lens. The next pieces of equipment are filters depending on the look you are going for. However also bear in mind that digital photos can be edited and have filters added in post-production to give the same look and feel as having used physical filters. Next, invest in a tripod if the camera is going to be standing still in one position for a while for the photos; this may not always apply. If you need to move around a lot and need clear shots or want to record a video, consider options like a Steadicam. Cleaning equipment and memory cards are essential but should not be difficult to choose from the options available. We sell a range of SD cards, which vary in size and capacity from 1GB to 256GB; choose one depending on you device and the quantity and quality of your photos. For a professional photographer, who usually takes photos rapidly, getting the fastest SD card is important. The same goes for if you would like to record video. Now you are well equipped to take great photos, but what about post-production work such as editing? If you can afford an Adobe Creative Cloud subscription then the question is which of the suite to go for. Photoshop and perhaps Lightroom are essentials but are there other photo editors out there that are good alternatives. Do your research. If your objective is to print your work as opposed to post on digital channels, then make sure your editing software allows RGB to CMYK conversion so that your printout will have the colours optimised. For more information on this, read our blogpost on CMYK & RGB. Printing out your photographs is the last but crucial step to get right. Experiment with colour and black and white prints, and invest in a good printer, photo paper, and cartridges. For a quick printing guide, checkout our blogpost ‘A Quick Printing Guide for Photographers’. Depending on your budget and requirements, you can choose from a range of available options. For example, for vivid photographs a combination of glossy paper and dye ink might be the best option. We sell quality compatible ink and toner cartridges at a fraction of the cost of the originals – these are a great alternative to original cartridges if you are short of cash. If you went for a HP printer, and want the quality of original cartridges and don’t want to go for compatibles, IBM replacement cartridges are great alternative.